i got my March 2013 Julep Maven 'It Girl' box in the mail today! all three polishes are pastels and the extra treatie this month is a lip balm. the colors are all very Spring-oriented, but Simone and Shenae have a pearlescent flash that makes them a bit different from other pastels out there! i'm hoping that flash will hold up on the nail. 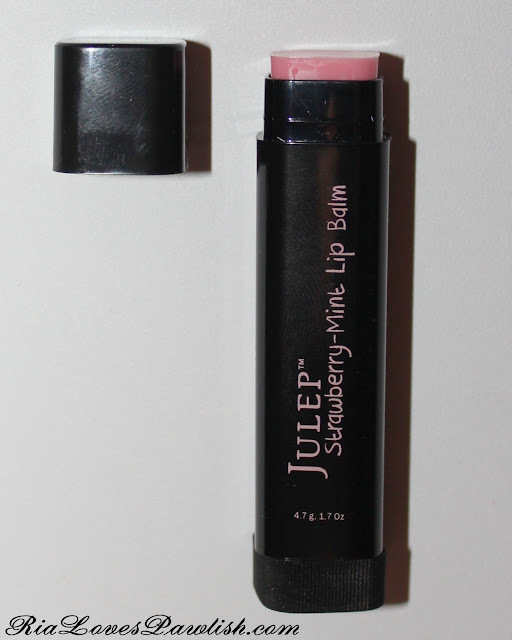 the lip balm is Strawberry-Mint flavored! let me know if you'd like a review on it. last up, the polishes themselves! i'm SO in love with Simone in the bottle, i'm really hoping that the blue flash it has will really show up on the nail. Did your box ship late too? :( March will be over by the time I get mine. GRR. i'm sorry to hear that! i actually received mine before i got the email telling me it had shipped... i think their system must have screwed up! New Magazine For Polish Lovers... Nail It!